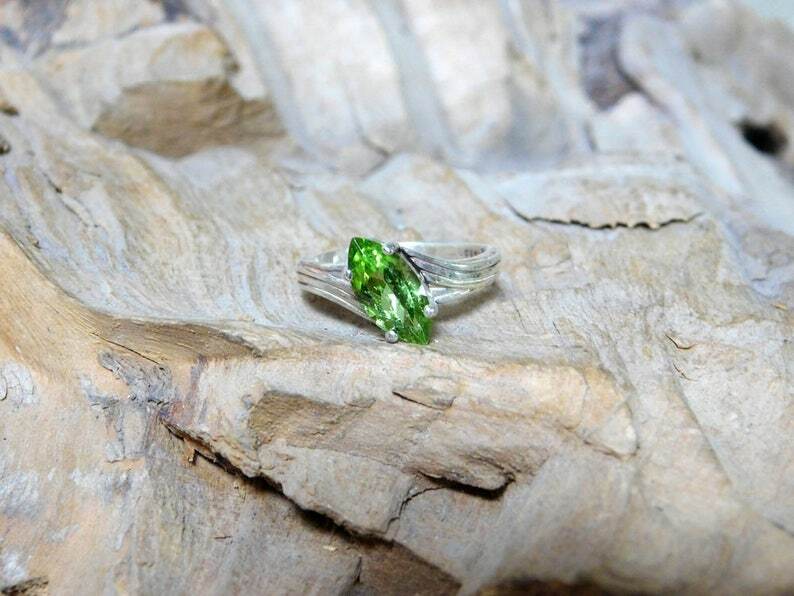 This Arizona Peridot measures 10mm x 6mm. Set on an angle in Sterling Silver mounting. We can do with other stones if you wish. We custom make everything so if you have and idea let us know if we can help.